Grind the chestnuts in a food processor until powdered. Place the chickpea flour in a mixing bowl and whisk to remove any lumps. Add all ground spices, the salt, lime zest, baking powder and whisk further until all dry ingredients are well combined. Add in the water and stir gently with the whisker until smooth. Grease a baking tray pan with the coconut oil and pour the dough on it. Steam it for about 35 minutes at 100°C in a steam-oven, or on medium-low heat if you are using a steamer on the stove. The cake should be fairly firm and a knife inserted in the center should come out clean when done. Turn off the heat and let the cake rest for 15 minutes. Invert the cake onto a plate. Serve it with tomato chutney, or mint-yoghurt sauce. Note: I used chestnuts since they are abundant at this time of the year where I live. 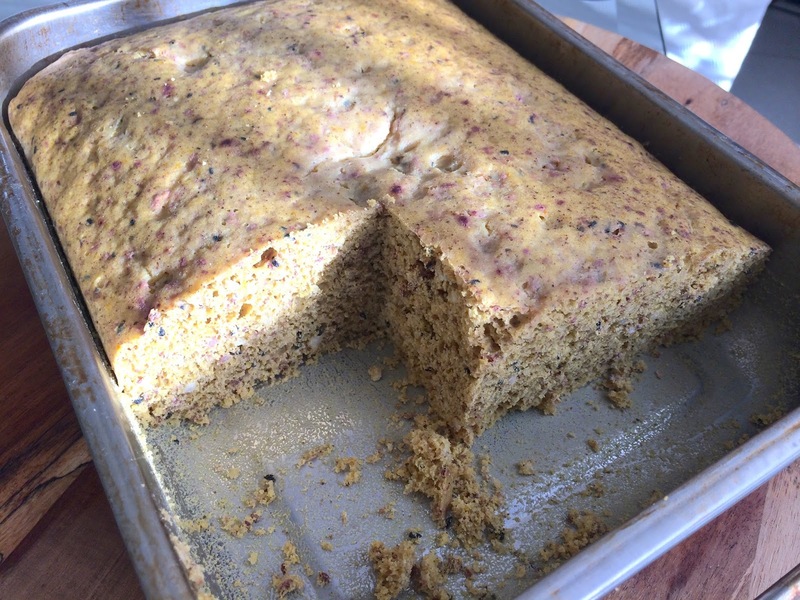 The classic recipe is made entirely with chickpea flour and/or with fermented lentils (flour). It sounds like a fantastic combination of spices! I've never heard of this dish before, but it looks lovely. Yes, I love Indian spices and this dish is so easy to make! You can also make it with your own spice combinations, as the chickpea flour/chestnuts are pretty neutral in taste and allow for variations. 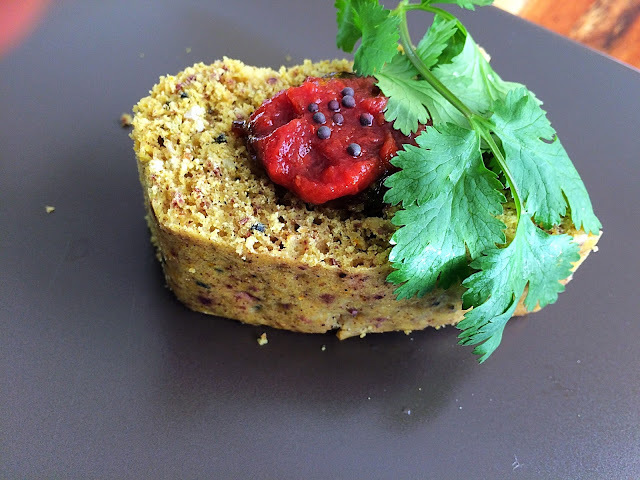 Chestnuts sound delicious in a dhokla! I've never actually had a vegan version before - round here they always put yoghurt in.